Pull up a stool and sample one of Coppersmith's 14 beers on tap . 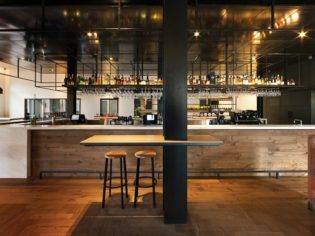 Classic pub turned upmarket establishment, Melbourne’s Coppersmith Hotel has come a long way since its rowdy Cricket Club days, finds Susan Gough Henly. I’ve always had a thing for the grand and fanciful architecture of Aussie neighbourhood pubs. But too often once inside I’m turned off by the sticky carpets, smell of stale beer, and the ever-present pokie machines. So it’s with trepidation that we pull up in front of the Coppersmith Hotel, just a short walk to Albert Park. The hotel’s handsome white period façade features its name in metal lettering just above its arched windows, and has graced the leafy end of South Melbourne’s Clarendon Street since the 1880s. 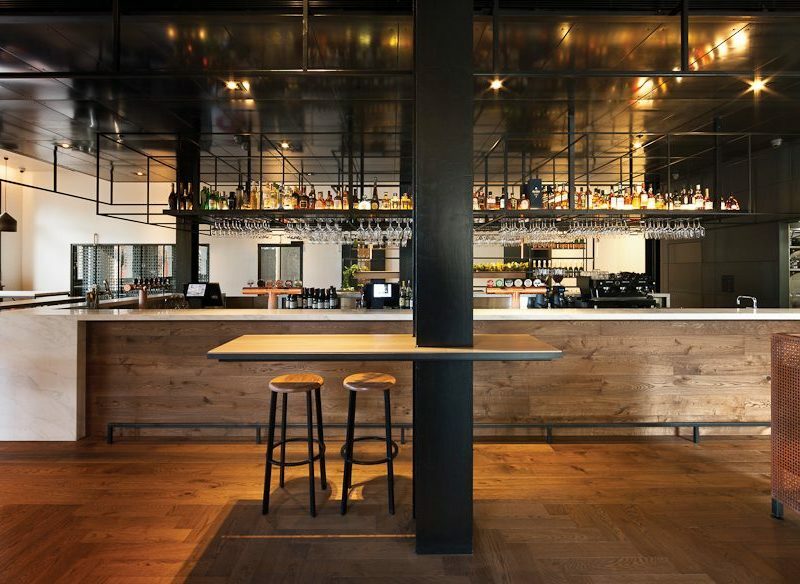 Eighteen months ago, publican George Bagios gutted the building and hired international design practice Hassell to create a boutique hotel. Once the Cricket Club Hotel, its new moniker is a nod to South Melbourne mayor and coppersmith Ebenezer Thomson, who lived nearby. We head through the hotel entrance to find a reception, but there isn’t one, so we drag our bags into the bar. Inside, we’re pleasantly surprised to find that the sleek-looking bar has just the right amount of buzz for a mid-week night. The barman points to a friendly man in a cubicle who prints us a card key and escorts us upstairs. My first impression of our Queen Room is that it is snugger than I had hoped but the design is eminently thoughtful, full of textural details and bespoke fittings. The walls are lined with pale grey wooden panels, some with Shaker-style small wooden hooks, giving the place a subtle Hamptons beach cottage vibe. Along the hallway is a metal-framed glass wall and door that opens to the attractive tiled bathroom with rain shower. The bedroom has just enough space for a queen-sized bed, wooden armchair, and narrow desk with a basket of tasty-looking snacks that we hold off devouring until after dinner. Bagios owned this corner pub for several years before the renovation and wanted to retain it as a locals’ hang-out. This part of town is popular with young creatives and IT types so there is an interesting mix of patronage here tonight. Head chef is Vue de monde alum Ben Huggins who is responsible for both the bar menu (which spans the spectrum from hamburgers to slow-braised lamb shoulder and linguine marinara) and bistro menu. The front of the hotel remains the main bar with an impressive selection of 14 beers on tap, but we order from the bistro menu in the small restaurant at the back, where a supremely professional waiter, Sylvester, runs the show. I have a terrific deep-fried black pepper calamari with nori and a pickled ginger salad, followed by ocean trout, quinoa, pomegranate and Vietnamese mint. We shun dessert in favour of some Whisk & Pin rocky road from the mini bar. As a nice touch, the mini bar can be tailored to your tastes at time of booking: choose from ‘green, leafy and well-behaved’, ‘salty, tangy and well-brewed’ or ‘classic, staple and well-made’. The next morning, with coffees in hand, we enjoy a bird’s-eye view of Melbourne getting ready for the day from the rooftop – a perfect city retreat, and no sticky carpet in sight. We rated: We loved the fabulous location and thoughtful contemporary design at a reasonable price. The small bistro and buzzy bar had great food, a good vibe, lots of craft brews on tap and excellent staff. We’d change: The check-in at a cubicle on the side of the bar was a bit strange. The Queen Rooms are a bit small but the King Room offers more space and light for just a few extra dollars. Notes: We paid $220 for a Queen Room on a weeknight.